Many small businesses wrongly assume that certain employment laws only apply to “big” companies. Don’t make this costly mistake! Even if you run a lean workplace of just a few employees, you still need be aware of federal (and state) employment laws and satisfy the legal requirements. 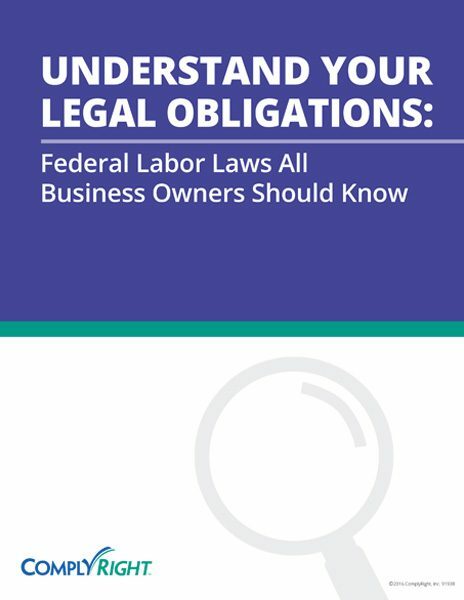 Learn more about the key legal obligations that affect every employer – from time and pay responsibilities under the FLSA to safe workplace practices under OSHA.